We welcomed Rev. 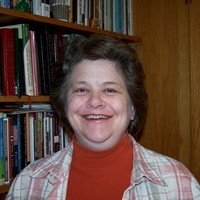 Rachel Stahle as our new pastor in May, 2011. Rachel was ordained in December, 2004, after teaching at the college level for a few years. After serving churches in Pittsburgh, PA, and Carteret, NJ, she came to Towanda with excitement about our congregation and community. Originally from York, PA, Pastor Rachel came to saving faith in Jesus Christ in 1988 while a student at Grove City College. After graduating from there with a degree in Religion, she attended Gordon-Conwell Theological Seminary in South Hamilton, MA, where she completed a degree in theology in 1994. After taking a year off to serve at a Christian high school in Massachusetts, she enrolled at Boston University. She completed a PhD in historical and systematic theology in 1999, with a specialization in colonial American theology. Her dissertation focused on the thought and work of Puritan pastor Jonathan Edwards. A shortened and updated version of her dissertation was recently published as a book, titled The Great Work of Providence: Jonathan Edwards for Life Today (Wipf & Stock). It is available at amazon.com and other book sellers. Pastor Rachel has greatly enjoyed settling in here in Bradford County. When not serving the church, she enjoys sports, kayaking, cross stitch, other crafts, gardening, playing the guitar, word games, and her five cats. Yes, five! If there is any way Pastor Rachel can be of help, please do not hesitate to call or email her.